-Hosting Distribution Platforms will develop better tools to make monetizing smaller and larger shows easier. -Interactive Advertising ... Más informaciones Bureau (IAB) continued march towards Podcasting Download Metric Standards. -In-Car Dash Consumption of Podcasts will continue to replace radio listening in the car. -Personal Voice Agents (Alexa/Echo, Google Home, Siri and Cortana) devices will enable more in-home listening growth. -Dynamic Ad Insertion partnered with Programmatic Advertising Buying and Trafficking tools technology will improve. -Some Host Read Advertising will morph into more Host like “Talent Reads”. -Short-Segment Social Media Sharing and Playback Growth. 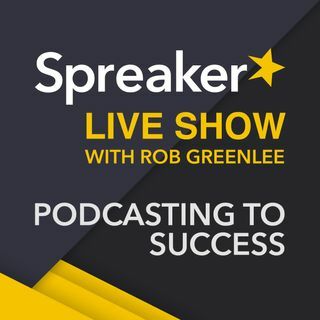 -Live Audio Recording to Podcasting and Listener Festivals grow. -Android takes a larger share of the Podcasting Listening Market. I try to engage younger listeners by keeping my show a half hour or less. I try to keep my energy up and the show lively. I'll engage with anyone who comments or emails my show. I try not to sound too much like an old man and say things like "kids today". I usually have more than one topic or story on my show so there is a variety of things to sink your teeth into. I keep it very honest and I show humility and try to be humble, yet confident I know how I feel. Also I know many younger stand up comedians from my days as a stand up and I talk to them about who they listen to and what shows they may be guesting on. I'm working on Twitter as I know the kids love that. I comment all over Facebook, and Twitter and wherever I can spreading my name and my shows name out there. Merry Christmas Rob! Great show. I had no clue that there are premium podcasts... I'd never pay for a podcast, not even for a network of shows. About the ads on Spreaker. I'm liking the idea, but not only is it hard to tell what action by the listeners actually makes you money, but I also think it's missing the ability to keep or remove the ads per episode. Hey Rob. Great solo show. Thanks for the info and the mention. I must say that it'll be a cold day in hell before I pay to listen to a podcast. Years ago I was willing to pay for Sirius satellite radio specifically for Howard Stern. But he was giving me 4+ hours a day of entertainment and I no longer had to worry where in the country I was driving my truck and still get a crystal clear signal. Even though I have my favorite podcasts, like Marc Maron, Alex Exum and Spreaker live, I don't see having to pay for them. In all seriousness I subscribe to over 30 podcasts off all types, but even collectively still not compelling enough content for me to pay for. I would just go back to am/fm if I had to and suffer with Glen Beck. Yuck. I guess I would consider paying a nominal fee for a podcast network such as ADORE FM or HEADGUM. Let's hope it doesn't get to that. I like it free and the podcaster has to monetize the show on his or her own without my dollars. I'll just pay for stamps.com or audible or whatever. As far as premium subscriptions for older shows like Mark Maron charges for NOT interested. OK that's my two cents that no one had to pay for. My free opinion. Thanks Rob. MERRY CHRISTMAS and Happy Hanukkah! Our free promotional ads are either I create entirely and run past the client for approval, or it will be a collaboration of the client with me and then approved. Have you seen Mark Zuckerberg's "Jarvis"? With Epidemic Sound (I am subscribed, thank you, guys), you can even have a mostly music "radio type" show if you like. I would prefer not to have to manage "cue sheets" from paid advertisers. I would rather if listeners would like to donate or "tip", then that would be better for me. Besides I use sound effects that are not for commercial use and even though I promote those providers, it would not be right for me to charge premium subscriptions or advertising fees. Thanks for listening to the show this week.